A groundbreaking ceremony last Friday marked the next step in the development of a new Multi-institutional Academic Health Education and Research Campus in downtown Evansville. The campus, a new model of medical education training for future physicians, dentists and health professionals in Indiana, will serve as the new home for the Indiana University School of Medicine-Evansville campus. The interprofessional medical education and research center will offer the most advanced technologies to educate and train future generations of physicians, dentists, nurses, health science researchers and other healthcare providers and is a direct result of a unique and well-coordinated collaboration among four regional hospitals and three institutions of higher education. The partners are Deaconess Health System, Evansville, Ind. ; Good Samaritan Hospital, Vincennes, Ind. ; Memorial Hospital and Health Care Center, Jasper, Ind. ; St. Mary’s Health System, Evansville, Ind. ; Indiana University; University of Evansville; and University of Southern Indiana. Read more about the groundbreaking ceremony and the campus in IUSM Newsroom. To view photos of the event, visit the IU School of Medicine Facebook page. View more photos and quotes from the event on Twitter. Student leaders serving on the Medical Student Council and officers and representatives from each class and appointed committees will be recognized at the annual IUSM Student Leader Appreciation Reception on Friday, Oct. 30, at 6 pm. The event will take place in the Lilly Auditorium at Riley Hospital for Children at Indiana University Health. Plan to attend the upcoming BioCrossroads Frameworx event to hear findings from a report examining the Indiana Clinical and Translational Science Institute’s progress, profiling a diverse array of accomplishments in translational science, community engagement, and education and workforce development. The report, “The Role of Indiana CTSI: Impacting the life sciences sector, translating science into therapies,” notes that the Indiana CTSI is one of the preeminent sites, widely recognized as a leading participant in the National Institutes of Health’s groundbreaking Clinical and Translational Science Award (CTSA) program. Anantha Shekhar, M.D., Ph.D., director of the Indiana CTSI, and Debra Lappin, principal, Faegre Baker Daniels, and co-author of the report, will provide a deeper understanding of the Indiana CTSI and compare its progress with five other CTSA organizations across the country. They also will offer insight on how the Indiana CTSI is positioned to take advantage of and respond to emerging expectations in translational science. The Thursday, Nov. 12, session will take place at D’Amore, located on the 48th floor of Chase Tower on Monument Circle. Registration and networking begin at 8 am, followed by the session from 8:30 to 10 am. Parking is available in the Chase Tower garage off of Pennsylvania Street or on street level at parking meters. Click here for additional event information and registration. Paul Haut, M.D., associate professor of pediatrics at IU School of Medicine and interim president and chief medical officer, Riley Hospital for Children at Indiana University Health, has been appointed to the Graduate Medical Education Board by Indiana Governor Mike Pence. 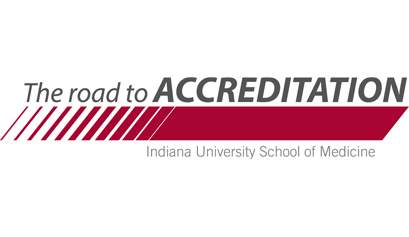 The board oversees the expansion of medical education in Indiana through the funding of new residency program slots at licensed hospitals. Dr. Haut’s two-year term runs from Jan. 1, 2016, through Dec. 31, 2017. Rajiv Agarwal, M.D., professor of medicine, IU School of Medicine, discussed the promise of novel therapies to treat hyperkalemia (high blood potassium), which commonly occurs in patients with chronic kidney disease and heart failure, at the Cardiometabolic Health Congress in Boston last week. Highlights from Dr. Agarwal’s presentation are available online in the Healio newsroom. Indiana University Health is accepting applications for its 2016 Values Fund grants. Grants are offered in four categories -- Grand Challenge, Research, Education, and Spiritual and Religious Dimensions. The Grand Challenge grant is a joint initiative between IU Health and the Indiana Clinical and Translational Sciences Institute. Research projects funded by this program must support the values of IU Health. Eligibility requirements and application instructions vary, but final applications for all four grants are due no later than 5 pm, Jan. 18, 2016. Funding is available from the Indiana Clinical and Translational Sciences Institute (CTSI) for predoctoral graduate students interested in translational research. The research may involve applying discoveries made during work in a lab, developing clinical trials and studies in humans, or carrying out research aimed at enhancing best practices. Candidates must have completed at least one year of a predoctoral training program, but cannot have completed more than their third year. Funding is for two years. Benefits include a stipend, as well as health insurance and partial coverage of tuition and fees. Completed applications must be submitted by Dec. 14. Interested candidates must be prescreened for eligibility. Indiana CTSI predoctoral training positions in translational research are designed to provide students the opportunity for mentorship in research-intensive multidisciplinary settings as they work toward developing careers in translational research. Funding is for one year and renewable for an additional year based upon progress. Applicants must be from Indiana University-Purdue University at Indianapolis, Indiana University Bloomington, Purdue University West Lafayette or the University of Notre Dame. Application deadline for the training positions is Dec. 14. For more information, visit indianactsi.org. Do you want to make a difference in the lives of IUSM students statewide? Interested in learning more about the inner workings of IUSM? How about increasing your network and gaining the resources necessary to affect change? Applications for a position on the Medical Student Council executive board are being accepted. 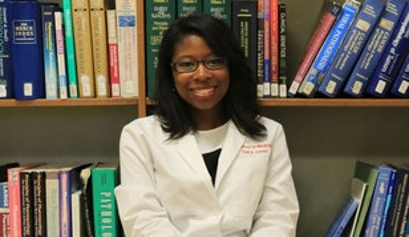 The Medical Student Council is IUSM's student government, a democratic group of student leaders who discuss important issues and vote on a variety of topics. The executive board represents over 1,400 IUSM students across the state, while overseeing student interest groups, committees and College & House. The executive board also partners with the Office of Medical Service Learning. See the organization structure chart for more information about how the executive board funtions. The executive board hosts monthly town hall-style meetings, along with the class officers and center representatives, which are open to the entire student body, and meets with high-level IUSM deans on a monthly basis to voice student concerns and issues. Any student in good academic standing can run for the MSC executive board. To learn more about the eligibility and responsibilities of each position, as well as the election process, please visit the MSC website. Students can run for multiple positions, as elections will proceed in a drop-down fashion in the following order. Be sure to have a clear understanding of each position before applying. The following positions are available for a one-year calendar term starting Jan. 1, 2016. The executive board strongly encourages intersted students to reach out to the person currently in the position to learn more. View current team members here. If you are a center student, please contact Korbin Davis at daviskom@iupui.edu to discuss position selection and feasibility. MSC President Dessi Moneva is also happy to speak with any potential candidates regardless of position(s) sought. To apply, please submit a 1-2 page platform that includes your background, qualifications, interest in specific position(s), and goals if elected. Photos are optional. Platforms are due to Dessi Moneva at dmoneva@iupui.edu by Wednesday, Nov. 4, at 11:59 pm. You will also be asked to give a short speech at the election on Wednesday, Nov. 18 at 6 pm in MS122a. All candidates should plan to attend elections in person. If you are out of the country or have a family emergency, please contact Dessi as soon as you find out that you cannot attend and alternative arrangements can be made. The IU School of Medicine Medical Student Council invites all students and student-leaders to attend Leadership Day on Saturday, Oct. 31, from 8 am to 3 pm in the Riley Auditorium. This year's theme is "Preparing the future physician-leader: Highlighting the importance of work-life balance." The student interest group with the most students registered and in attendance at Leadership Day will win $200 towards their general budget courtesy of the MSC. For a full agenda and registration information, visit the MSC website. Contact Frank Duerson, MSC Executive Vice President, at fduerson@iupui.edu with any questions. IU School of Medicine-Terre Haute students organized a community health fair at the Terre Haute Boys and Girls Club last Saturday. The health fair included free health screenings and exhibits about personal health and fitness. The fair provided local residents the opportunity to learn about their health and how to improve health outcomes. To view a video wrap-up of the event and read local coverage, visit the WTHI-TV 10 website. Community members on Indianapolis’ west side can take advantage of free screenings at a health fair on Saturday, Nov. 7, from 9 am to 1 pm, at Eskenazi Health, 5515 W. 38th Street. Attendees will have a chance to meet nurses and physicians who provide care at the health center, as well as visit a variety of booths with information on health insurance, family planning, immigrant and refugee communities, nutrition and wellness, asthma, chronic obstructive pulmonary disease (COPD) and autism. Information on Eskenazi Health Multicultural Affairs and CPR training also will be available. For more information, call 317-880-3838 or visit the Eskenazi Health website. Fighting metastatic breast cancer for 27 years, Mary Beth Gadus has made it her personal mission to help others diagnosed with the disease. Through years of treatment and recovery, Gadus launched one of the most collaborative fundraising initiatives at the Indiana University Melvin and Bren Simon Cancer Center – 100 Voices of Hope – and raised more than $850,000 in grass-roots fundraising for metastatic breast cancer research. Her goal this year is to reach the cumulative $1 million mark – the ultimate way to pay it forward for everyone affected by this devastating disease. First diagnosed in 1988, at age 36, Gadus has been in remission three times. Her method of treatment has evolved from one option that everyone diagnosed with breast cancer in the 1980s received – “chemical warfare,” in her words – to increasingly targeted therapy. As research advanced and the way experts thought about cancer changed, so did Gadus’ treatment each time she faced a recurrence. She attributes her survival to new options made available due to years of hard work by cancer researchers. Gadus has been fighting for her life for so long that today she finds herself in a brave new world of precision genomics, a treatment method rooted in the Human Genome Project that uses a cancer patient’s genetic profile to fight the specific cellular mutations in a tumor. Read the full story, "Call it more than a hunch," on the IU Simon Cancer Center Newsroom. This year’s IU Dance Marathon takes place from 8 pm Friday, Oct. 30, to 8 am Monday, Nov. 1. The 36-hour event is the culmination of a year’s worth of work by 1,300 student committee members whose goal is to raise money for Riley Hospital for Children at IU Health. Former IU student Jill Stewart Waibel established the IU Dance Marathon in 1991, in honor of her friend Ryan White, a patient at Riley Hospital for Children who became an AIDS activist after contracting HIV through contaminated blood transfusions. White died in 1990, at the age of 18, from complications of AIDS. In its first year, the event raised $10,900. In 2014, IU Dance Marathon, the second-largest student-run philanthropic organization in the country, raised a record-breaking $3.2 million, which includes money raised by similar dance marathons held throughout the year at partner high schools in the area. In total, IU Dance Marathon has raised more than $20 million. Donate blood at one of two locations on Thursday, Nov. 5, during the IUPUI Staff Council blood drive. Appointment times are limited and participants are asked to sign up. For more information, contact Dotti Laas at dlaas@indianablood.org. The IU School of Health and Rehabilitation Sciences Alumni Board presents the fifth annual Interdisciplinary Research and Education Conference on Friday, Nov. 13, from 1 - 5 pm, in the IUPUI Campus Center. Keynote speaker is Andrea Pfeifle, Ed.D., PT, director of the IU Center for Interprofessional Health Education and Practice. Workshop topics include case management, collaborative care, optimizing exercise as therapy for pulmonary hypertension and identifying malnutrition in adult inpatients. Registration fee is $40 for IU Alumni Association members and $50 for non-members. Student registration is free. Register to attend, or visit the SHRS website for more information.